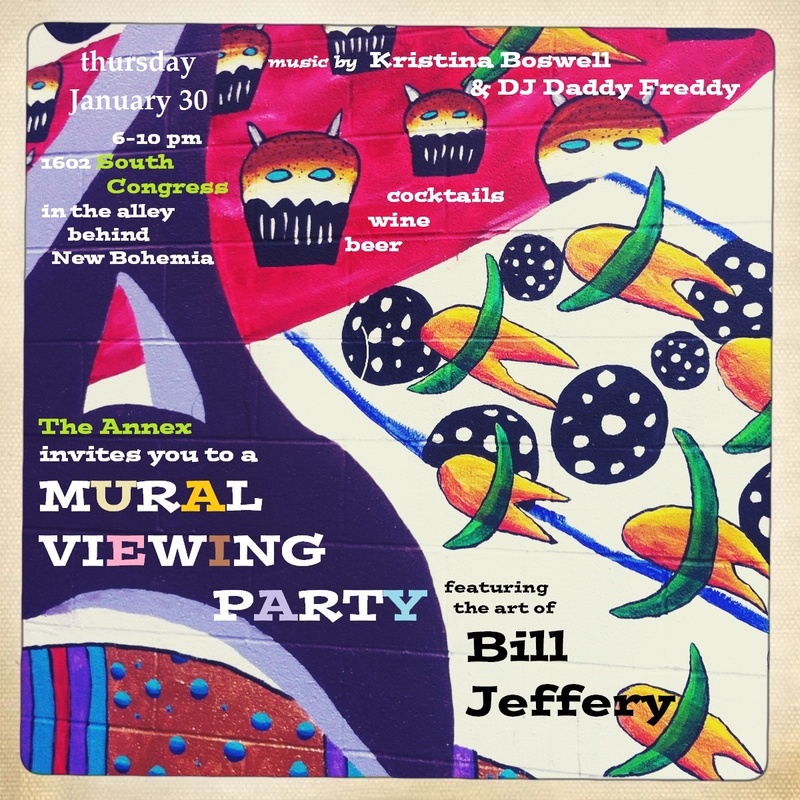 Come see me tonight slinging vintage for fun at the Mural Viewing Party at The Annex vintage in the happenin’ South Congress district along the asphalt spine of Austin, Texas. Venture south of the river tonight for some art, wine, music, and dead people’s clothes. Featuring amazing new art by Bill Jeffery.